It's difficult to discuss why so many people would not want a sequel to The Last of Us without getting deep into spoiler territory. Its story has ... rather clear boundaries, let's say. But the game's creative director said in a Reddit AMA that there's a 50/50 chance there'll be another game in the series. 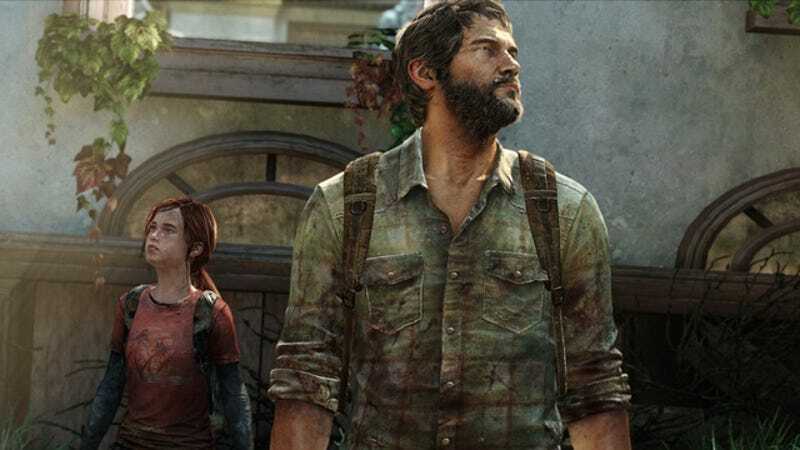 Neil Druckmann, the creative director, left the door open for another game in The Last of Us's continuity as far back as June. And, of course, the game just released the DLC Left BehindLeft Behind. Yesterday, a redditor asked "how good are the chances of us entering the world of The Last of Us again?" to which Druckmann replied, "If you're asking about a sequel ... right now I'd say it's 50/50." Now, is that probability is 50 percent higher or lower than it should be? There are a number of things going on. One is that this is a game that won a tent full of awards, many of them Game of the Year (including ours); it's also a console exclusive that sold, like, more than 3 million copies globally in its first month. So there's got to be a ton of business pressure to keep that kind of a series going. And yet, what more could be said? Druckmann told Kotaku back in June that "as the journey Joel and Ellie goes on it ends with this game." Again, I don't wish to tread anywhere near spoilers, but even if you explore other characters' stories, it strikes me that a major plot driver, particularly for a post-apocalyptic story, is taken completely off the table by the original game's powerful conclusion. Undoing that is risky business. Of course, you could do a prequel, but didn't the game just go there with Left Behind? Elsewhere, Druckmann was asked if he misses Joel and Ellie, having said so clearly that their story is over. " I miss them dearly. I'd love to see them again—maybe in a different medium? We'll see." So that's mysterious? A sequel and a movie? Who knows. Then someone asked how he would handle a sequel "in a purely hypothetical world where anything goes," and Druckmann said—tongue visibly in cheek here: "There are clickers as big as buildings. Also you have lots of new gadgets and weapons (more lasers!). Oh and Ellie can now control the infected with her new powers. We'd also probably dive into the government conspiracy of creating a secret weapon that broke loose and that's how the outbreak started. There's probably a shadowy secret agency in all this that you find out Joel has been a member of this whole time (that's why he came home late in the prologue!)" Yeah. If you guys do do a sequel, don't do that. PS: I'm going to offer a general spoiler alert here for comments below, because some people in their enthusiasm to discuss the story may not give one in their comments. Still, be courteous to your fellow readers.